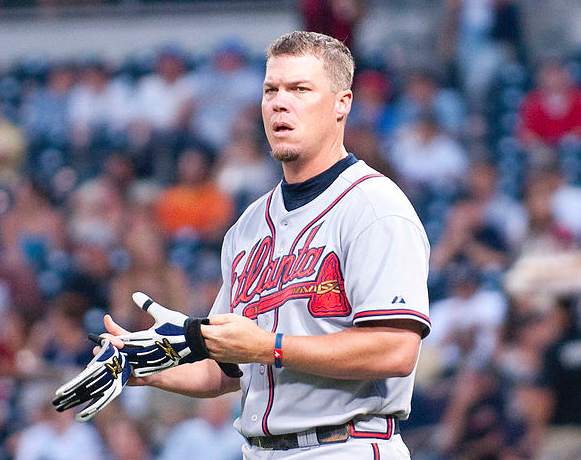 Orlando Sports Weekly Rundown: Is Chipper Jones the Best Athlete from Central Florida? Is Chipper Jones of DeLand the best athlete of all-time from Central Florida (radius expanded 60 miles from Orlando)? In terms of a pro career, YES - though it's a near tie with NFL Hall of Famer Ray Lewis of Lakeland. In terms of athleticism, no, that distinction goes to Daytona Beach's Vince Carter. When you really start to expand the rankings, it really gets difficult because there are so many phenomenal athletes to choose from. These lists sparked come controversy. I heard back from some folks on Twitter who had some solid criticisms. All good points... Dawkins was a monster athlete. So was Sammie Smith. Johnny Damon had a fantastic career. Jason Varitek did too. Amar'e Stoudamire, Chris Johnson, and Brandon Marshall all enjoyed successful careers. If you have more to add, or disagree and want to talk some smack... write to me at @DavidBaumannORL on Twitter! David Baumann is a Sports Columnist for 407area.com and can be heard Tuesdays 7-9pm on EK Sports, 96.9 The Game. He can be seen Thursdays, Saturdays and Sundays at 10:30 pm on Spectrum Sports 360, Spectrum channel 13 and in HD on 1013. Stay connected to the latest Orlando sports news and events by subscribing to 407area.